ezTalks has toll numbers available for all plans. 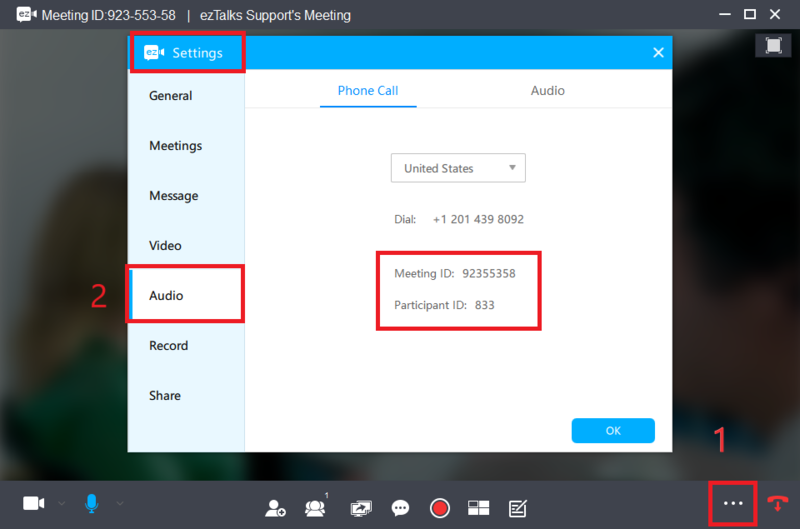 And if users buy the audio add-on plan, ezTalks will provide additional toll-free numbers. Here is a full list of ezTalks International Dial-in Numbers. For the toll-free numbers, it is only visible when you have purchased the audio add-on plan. This article is about how to join by computer/mobile device and telephone call-in at the same time. Learn how to join by telephone call-in only. Now the audio from the computer is disabled automatically, you can listen and talk over the phone and watch video/sharing screen on the computer. If you use a mobile device ( iPhone, iPad and Android) to join a meeting, you can also dial in with a telephone. 1. 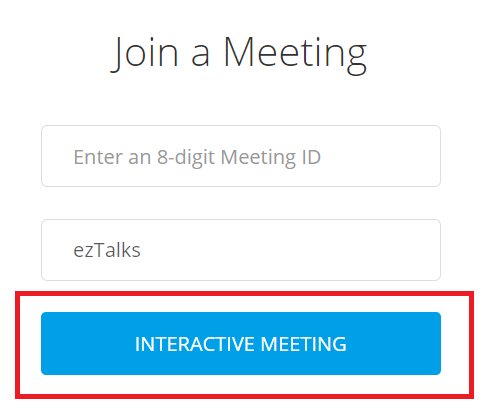 Open the ezTalks app on your mobile device and join a meeting.